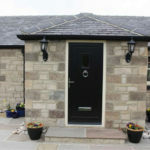 Here at Mcleans Windows we have been providing the people of South Oxfordshire with quality services at affordable prices for 20 years years. Over that time we have perfected our business model on a solid foundation of trust, exceptional standards and superlative customer services. One of the major factors of our longevity is the relationship we build with our customers. 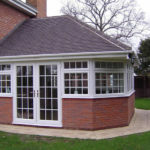 We are not aware of any other company in South Oxfordshire that does not require a deposit before starting work, or have one person dedicated to seeing each project through from start to finish. This means the same employee who sells you the product later acts as surveyor and then project manager. “We’re the only company we know of who doesn’t ask for a deposit,” said sales manager Simon. & We’re confident we’re going to get it right. Trust is important and people trust us. We’re confident of the service we provide and the quality of our products. 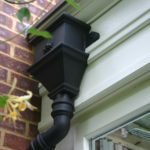 We source materials that are only of the highest quality. We make sure we deliver what we have sold. We take great pride in our jobs and we’ve been doing it for 20 years years now. For me, I love to see the reaction from a satisfied customer, especially when it has been a lot easier for them than they thought it would be. 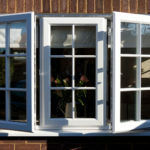 Every Mcleans Windows installation comes with a full ten year guarantee and ten year insurance-backed warranty. 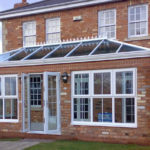 All of the products supplied by us, be it Upvc, Aluminium or Timber, are made from the best materials available. 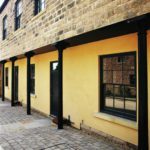 We are dedicated to designing windows to suit the age and style of a home and to this end we offer a wide range of timber windows. We also specialise in sealed units, cutting glass to size and green house glass.